In February 2018, UC adopted a Sustainability Framework, which establishes the approach UC will take to meet its environmental commitments and to incorporate sustainability concepts into decision making at all levels. The Framework covers approaches to teaching, learning and research, operations, and partnerships for sustainability. In a four part blog series, the UC Sustainability Office is exploring stories of where and how the Framework is contributing to the University’s sustainability journey. What do all undergraduate students of ENGR101 have in common? The beginnings of an in-depth understanding of sustainability. The Sustainability Office recently met with Dr Alex Yip, Senior Lecturer in Chemical and Process Engineering, and Assistant Course Coordinator for ENGR101 to discuss how sustainability fits into their courses, and has become a key learning outcome of the paper, Foundations of Engineering. We met Alex shortly after undergraduate students participated in their dedicated sustainability lecture presented by Professor Peter Gostomski, and attended a two hour follow-up workshop. Understanding sustainability as a concept, and being able to comment on and identify sustainability issues is a key learning outcome of ENGR 101. Why? It’s explored in the sense of gaining global awareness and engaging with the community outside of the classroom environment. ENGR101 touches on concepts, definitions, and case studies to develop critical thinking on sustainability issues. Sustainability is far more than just a buzz word for engineers – as they are involved in everything from resource use and extraction through to technology and product design, it is essential engineering students are fully engaged with sustainability concepts through all levels of study. The professional body Engineering NZ expects engineering graduates to be confident and capable of thinking critically about sustainability issues. Alex speaks to the huge variety of fields and research areas on offer at UC, the majority of which hold sustainability at their core. 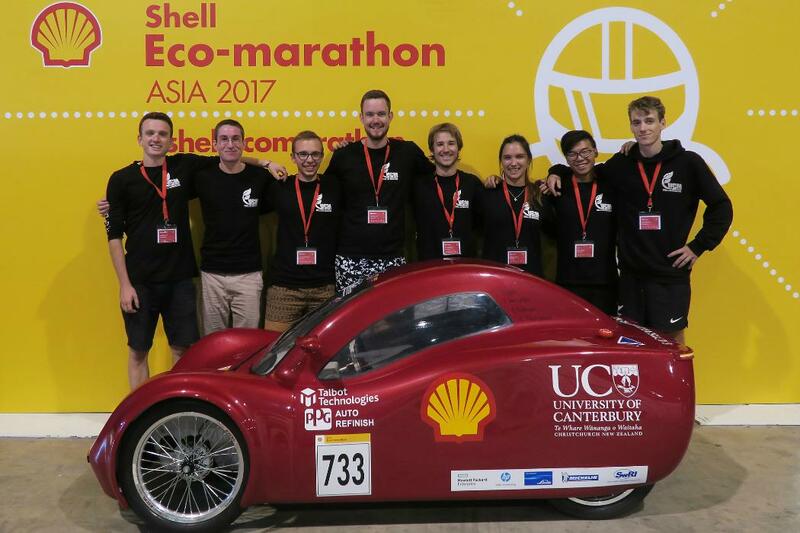 From Chemical and Process Engineering to Global Humanitarian Engineering, and initiatives such as Engineers without Borders and the Shell Eco Marathon, the scope of teaching and learning around sustainability in engineering at UC seems endless.